I just get so excited when fall is here. I love soup and it's so comforting on these cool Minnesota days. 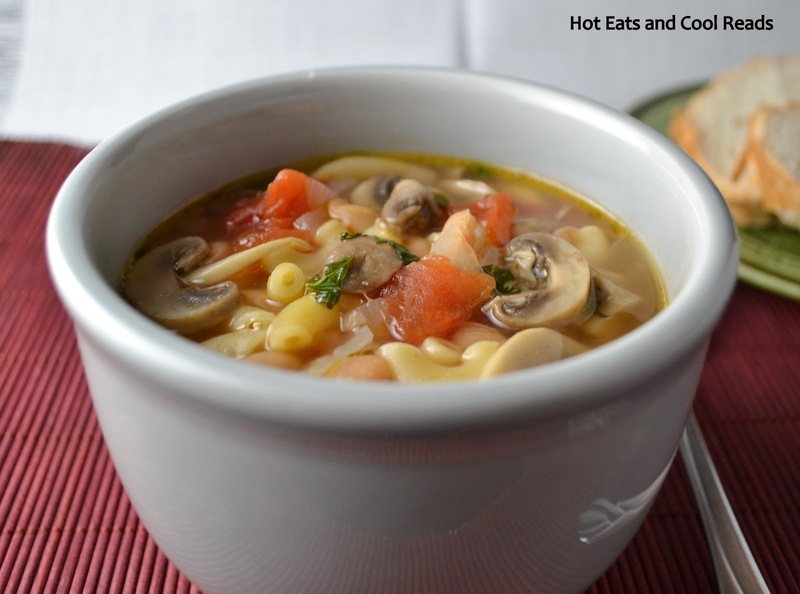 My daughter Ella and I had so much fun making this soup! She got all of the mushrooms cleaned up for me while I was chopping onions and garlic. I was so impressed with her mushroom cleaning skills, that she will be getting that job from now on since she loves to hang out in the kitchen with me. Mushrooms are one of her new favorites so we use them quite often. They are one of Mama's favorites too! This soup turned out so flavorful and hearty and I love that it's meatless. You don't even realize that the meat isn't there, and it's so much cheaper to make without it. I'm all about cheap meals these days with grocery costs that are through the roof. Our local newspaper recently released results of a study on what things cost in different areas in Minnesota. The St Cloud metro area where I live, has the most expensive groceries in the state, so it makes it even more difficult to be thrifty. I always base my meals on what's on sale that week and try to keep the cost down. You will love this recipe! Enjoy!! In a soup pot, heat olive oil over medium heat. Add mushrooms, onion, garlic, salt and pepper and saute for 5-7 minutes or until onions are tender. Add broth and tomatoes and bring to a boil. Add beans and pasta and simmer until pasta is cooked through. Add basil and oregano, remove from heat and serve! Great soup. Food on Friday is all about soup. It would be wonderful if you linked this in. Here's the link . Have a souper duper week! Yum! 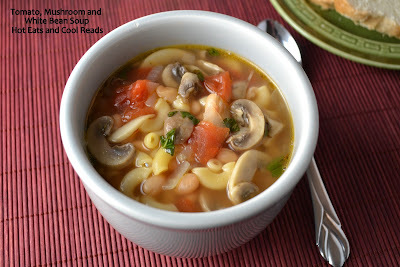 I love soup :) Pinning to try! Yum, what a soul warming dish! Thank you for sharing at FFF. It sure is! Thanks so much for hosting! Stopping by to check out your blog now! I've been looking for more yummy soup recipes. Today was the first day of rain we've had in forever and it totally put me in the mood for soups. I'll definitely try this one. Thanks so much for linking up to Creative Thursday. Can’t wait to see what you share this week! Have a wonderful week. I love this one!! You are building up my soup arsenal and I am going to drive Kevin crazy!!! Thanks for linking this one up to Tasty Thursday too!